Last week, I wrote the first part of the post Strongly Typed Data Controls and Modal Binding in ASP.NET 4.5. In the first post , I discussed about Strongly typed data control, Model Binding, filtering data, Value Providers and about writing own Custom value provider. Please find the link of earlier post below. Now, I’ll talk about Model Validation and custom validation attribute. So let’s start. We all have used ASP.NET validators many times for validating lot of controls and of course used the same of data controls like GridView also. But Model Binding provides another way of implementing validation. As I put Id as required attribute, it means it is required and if it is not provided it’ll throw an error. DataAnnotations provides other kind of validations like Range, StringLength etc as well. Also we can have multiple attributes as well on any property to have multiple validations on same Value as you can see above. <asp:DetailsView ID="detailsViewSpeaker" runat="server" SelectMethod="GetSpeakers" InsertMethod="InsertSpeaker" AutoGenerateInsertButton="true"
You can see the above screen, all the validation errors are Mode state errors. This is not at all, if your requirement does not get fulfilled by the in built validation attribute then you can write your own custom attribute as well. To create a custom attribute, you need to implement ValidationAttribute and override IsValid method and need to put own custom logic in this method only. 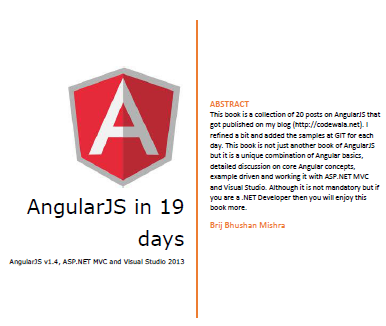 lets create a custom validation attribute. As you can see, I have entered a wrong formatted email. 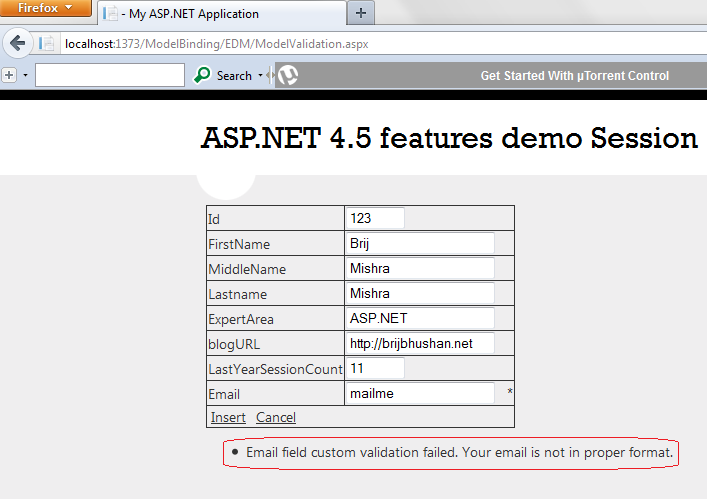 And when clicked on Insert button, the custom validation is error is thrown. 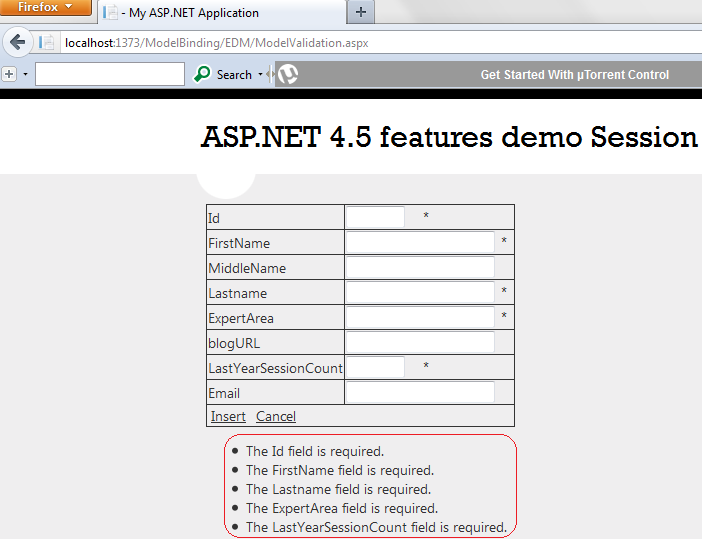 This entry was posted in ASP.NET 4.5 and tagged ASP.NET 4.5, Model Validation. Bookmark the permalink.